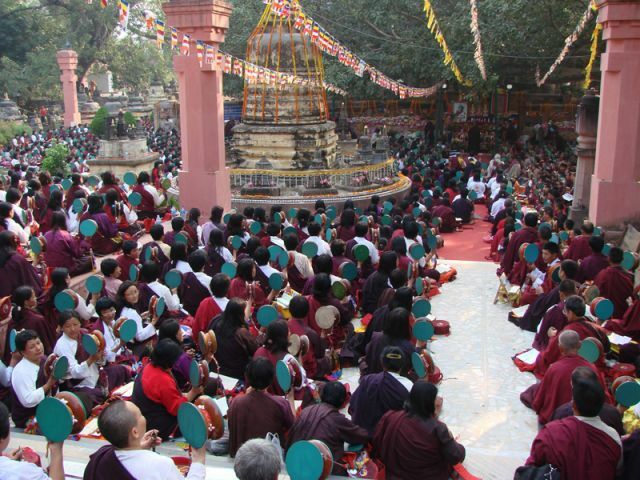 May the assembly chants over 100,000 recitations of merits accumulated in these prayers be dedicated to all sentient beings. May the lineage of the Dudjom New Treasure be flourished tenfold worldwide. May all the upholders of the Buddha's doctrine live long. May the epidemics, famine and warfare be dispelled by the blessings of the Buddha. May happiness and peace spread to every region and country of the world and may the world enjoy the glory of peace and happiness. May Rinpoche's intentions for the benefit of beings be accomplished.